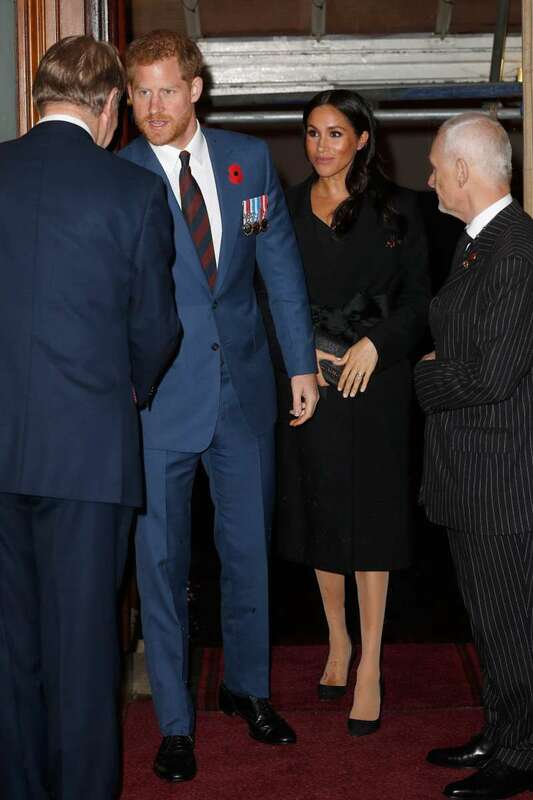 On Saturday, Prince Harry and Meghan Markle joined other members of the royal family at the Royal Albert Hall for the Festival of Remembrance service. The Duchess of Sussex looked radiant alongside her relatives as she stepped out in an elegant black dress with a statement silk belt. However, eagle-eyed social media users noticed a mysterious spot on Meghan's foot, which made everyone worried. The public's guesses ranged from something spilled to blood, which sent people into a frenzy. Many speculated it was simply a problem with her stockings, while others offered a perfectly reasonable explanation. People explained it was raining in London all day, and the spot is nothing more than some water on Meghan's stocking. Looks like social media can never get enough drama. Hopefully, the spot was indeed caused by the rain, and our favorite Duchess is well.